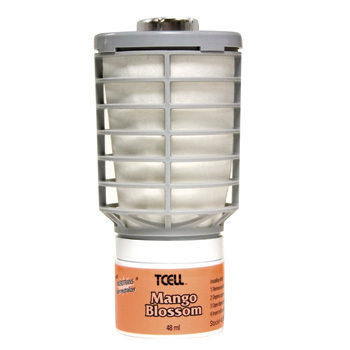 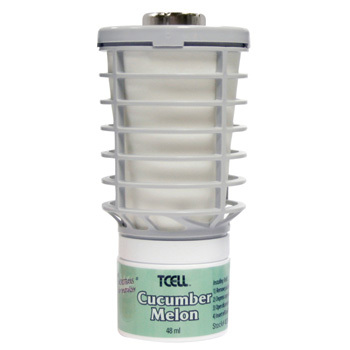 The latest innovation in air fresheners, TCell utilizes a patented fluid delivery system to disperse a precise spray of pure designer fragrance and odor neutralizer that can handle the most stubborn of smells. Tcell utilizes Microtrans®, a true odor neutralizer that contains only the highest quality oils to reinforce the cleanliness of the washroom and image of the facility. 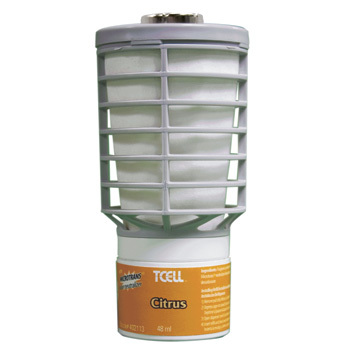 Available in fragrances that range from mild to intense, the Microtrans® odor neutralizer is dispersed through the TCell unit for up to 90 days without the use of batteries. 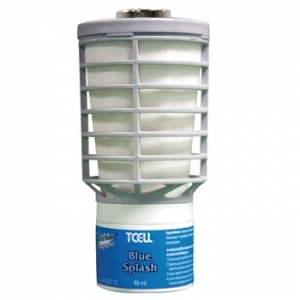 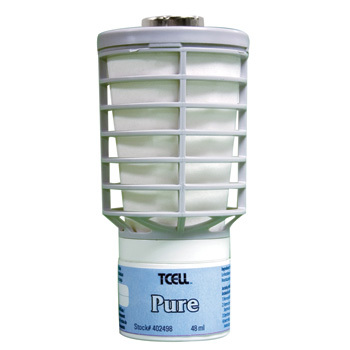 TCell is the environmentally friendly way to promote clean, fresh facilities through odor control.